A Personal Care Agreement Can Eliminate Elder-Care Family Conflicts | The Estate, Trust & Elder Law Firm P.L. The transition from matriarch or patriarch to dependent senior can be tough. Even the most functional and well-meaning families can be reduced to ugly conflicts when it comes to deciding the best course of action regarding caregiving services for an elder parent. In many situations, a parent declines caregiving services initially provided by family members. Usually a particular adult child of the elder parent becomes the default caregiver. In reality, women comprise about seventy-five percent of all elder caregivers both inside and outside of families. This can be stressful, exhausting, and emotionally difficult, not to mention financially burdensome as out-of-pocket costs mount over time. 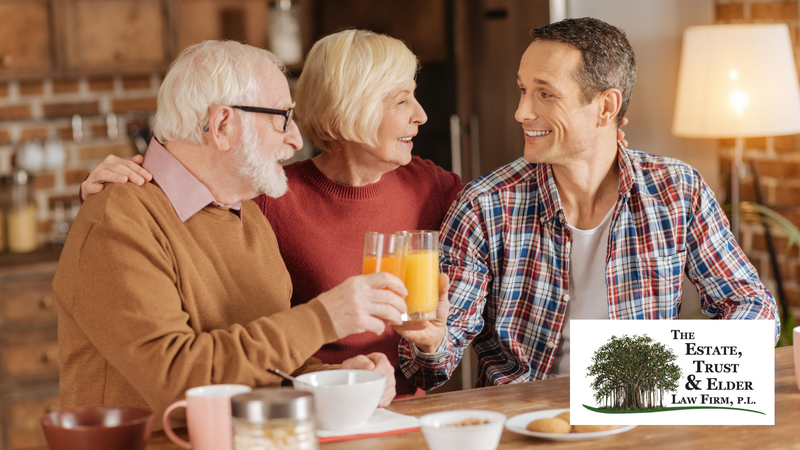 Opportunities for income generating activities such as work and personal commitments are also sacrificed in exchange for time spent with the aging, dependent parent. It is indeed a labor of love, but not one without quantifiable costs that may well deserve reimbursement and compensation. One way to protect the adult caregiver, while at the same time protecting the elder parent and alleviating conflict with other family members, is to formally agree on the terms of a caregiving arrangement. In Florida, such contracts are known as Personal Care Agreements, or family caregiver contracts. Personal Care Agreements are legally binding and offer the family caregiver a sense of security in that he or she will not be taken advantage of by incurring undue financial burdens. After all, they’re the ones showing up for the family’s elder parent. Why should they be effectively punished for it? Further, the benefit of a Personal Care Agreement for the elder parent is that the parent has someone who can afford to be close to them around the clock and who they can trust for help with daily activities. They’re family caregiver can also function as their advocate regarding important financial, legal and health care matters. Personal Care Agreements have three main parts: They must be in writing, they can only be forward-looking, as opposed to requiring payment for past care services, and any express compensation must be comparable to market caregiving labor costs. With the reality that one day the parent may need more long-term care assistance and need to qualify for a program such as Medicaid, it is crucial for these contracts to be prepared for the family by an elder law attorney. We know you may have more questions about Personal Care Agreements and whether or not they are a good fit for your family. Do not wait to contact us to ask us your questions on this or any other elder law issue. Can Your Florida Power of Attorney Do What You Need It To? Is a Testamentary Trust Right for Your Family? Do You Have Right Decision Maker Named in Your Florida Estate Planning?